"Get Fit for $225" provides you with savings of over $150 by doing a prepay instead of a month to month membership. Get 7 months and an access card all for $225! Get started today and make a HUGE difference in your life for a small amount! Come sign up in club between now and January 30th and pay only $29 for your enrollment fee! We currently are offering discounts to law enforcement, military, members in the healthcare and education professions, government workers, employees of certain plants, local businesses and more. To find out if you qualify simply give us a call and let us know where you work. Most people eligible for a discount will receive 20-25% off ! At Snap Fitness we strive to help our members acheive their fitness goals at an affordable price without any long term commitments or contracts! 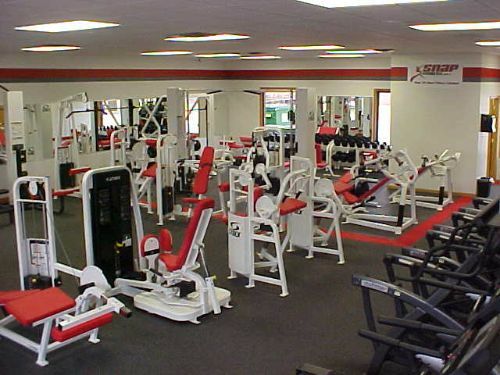 Providing a clean facility with a wide range of machines and free weights help set us apart. We also offer $10 tanning with all of our memberships! We have several Personal Trainers on staff, 2 of our trainers are current NPC competitors. Check out our facility on instagram @greenwellsprings_sf to see pictures of the club and to keep up with whats new !! For further information do not hesitate to contact us or stop in for a tour! Call and talk to a gym represenative for best pricing!